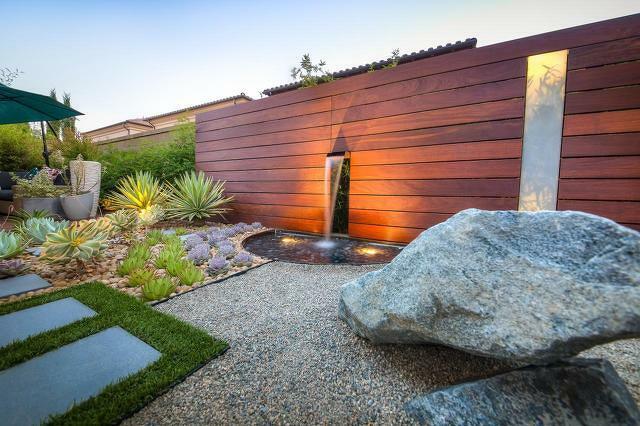 Spending time in a private zen garden can help reduce stress. Garden environments have long been suspected to have restorative value. Ancient peoples used sacred groves, special rocks and caves for this purpose. Later western civilizations had monastic communities. Their infirmaries revolved around the use of herbs and prayer, and most had cloistered gardens. After World War II, in the 1940s and 1950s, a need was felt to rehabilitate hospitalized war veterans using horticulture as part of their therapy. Unfortunately, modern advances in medicine for a long time diminished the role of nature in the healing process, until more recently. It was in the 1980s that a researcher, Dr. Roger Ulrich from Texas A & M, studied the healing effects of nature on hospital patients. It was found that natural landscapes were helpful in blocking stressful thoughts, holding a person’s attention, and reducing negative emotions. He also found that patients with views of nature had significantly less post-operative stay times, fewer negative comments from caregivers, less medication use and experienced fewer minor post-operative complications than patients with views of a wall. In short, they healed faster. This research has helped to spur an interest in the use of “healing gardens.” These gardens have sprung up nationwide, and they are being used in a wide variety of settings. One such local garden is the community-funded healing garden at the Mount Nittany Medical Center in State College, dedicated as the H. Karl and F. Joan Spackman Barnett Healing Garden. It features an impressive stone water feature, bench seating, an aspen grove and pollinator-friendly plantings, all of which enhance the meandering and accessible walkways. I was able to tour the garden this summer with the Ferguson Township Garden Club, and all agreed that it provides an appealing and calming space for patients and their families, staff and community. There are two other types of healing gardens. One type, a therapeutic garden, is used as an actual component of a treatment program like physical therapy, occupational therapy or horticulture therapy. It can be a part of a larger healing garden. The gardens of Centre Crest Nursing Home fulfill this purpose when residents use them for outdoor gardening sessions. The other type is a restorative garden, which can be public or private. Its main function is to provide an environment that is conducive to clearing the mind, reducing stress, aiding in emotional recovery and enhancing physical and mental energy. Can a restorative garden be created at home? While many would argue that any type of garden is healing, the Japanese Zen garden, also called a dry garden, is one that traditionally is thought to provide tranquility and harmony. The purpose is to make a miniature stylized landscape through carefully arranging a number of components. These may include rocks, water features, moss, pruned trees and shrubs, as well as gravel or sand. Usually, a Zen garden is somewhat small and surrounded by a wall. Classical Zen gardens were made at the temples of Zen Buddhism in Kyoto, Japan, during the Muromachi Period. The idea was to imitate the essence of nature, not its actual look, and to help with meditation into the true meaning of life. When the monks first came to Japan from mainland China and Korea, the imperial classes rejected their austere approach; later, when the military took over, Zen Buddhism was accepted. Influences included Chinese paintings of rugged mountain peaks and waterfalls brought by the monks, as well as Taoism and aspects of Shinto, which was a form of nature worship and the prevailing religion in Japan. The idea is to generate an atmosphere of serenity. This is done by having empty space as an integral part of the design. The minimalist idea to keep in mind is “less is more.” There should be smooth, clean lines and no unnecessary flourishes, both in plantings and hardscaping. Also, the number of colors is very restricted so that it is possible, for example, to appreciate the many shades of green in leafy plants. Some symbolic elements are used. One is the dry mountain water, which is a void, a sea of emptiness, representing impermanence. It is comprised of sand or gravel and raked to represent water. Others are “islands” of rock that project from the “water.” These can be interpreted as individual thoughts or emotions that are disturbing the calm sea of the mind. Clean, clear water represents the mind, not contaminated by thoughts and emotions and reflecting a perfect image of everything around it, so it is often included in a water feature. The final design may include an area of raked sand with rocks as stelas; a traditional water feature made from a bamboo tube, pool or fountain; a bridge; a tea house, pagoda, stone lantern or treasured object; simple furniture with clean lines; and often a high proportion of shaped evergreens. Minimal plants, such as spring bulbs, can reflect the changing seasons and be appreciated for their form. Though many poems have been written about the moon, its light will not be enough to illuminate the garden. Types of lighting including white mini lights, lanterns or mini uplighters at ground level can cast a gentle light onto individual rocks, trees or ornaments to accentuate their forms. A number of these ideas can be used to create peaceful moments in any back yard, to help restore tranquility and, with it, health. 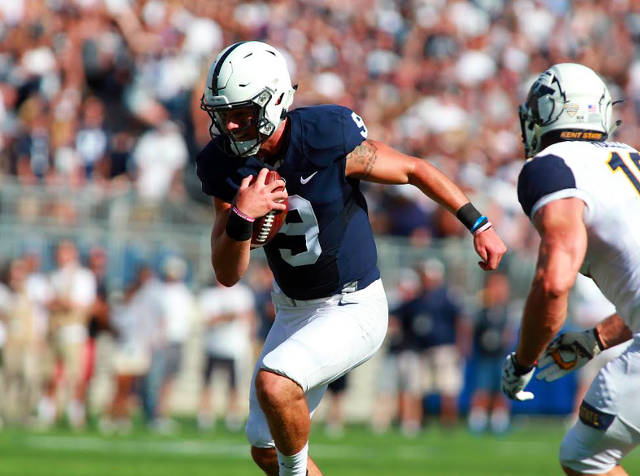 For a good long while it looked like Pitt was going to quite literally run Penn State off the field. As someone who picked Pitt to win, the Panthers being up in the game wasn't a huge surprise. They're an experienced team, hosting their cross state rival who just so happen to be fairly young and equally unproven.